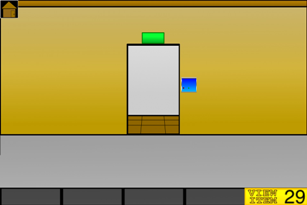 Tap the blue keypad and move all the green blocks to the right and red blocks to the left. Put them in the correct spots too. 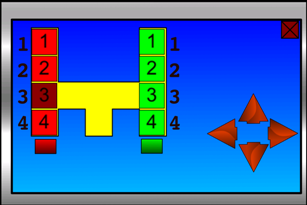 Tip: Move the 1 blocks to their side first, then the 2 blocks, then 4 blocks, and finally the 3 blocks. Proceed to the next Escape Through Elevator level!